Thank you to OES PE teachers Mrs. Glaze and Mrs. Hood for organizing the Service Project Hurricane Michael Relief at OES!! 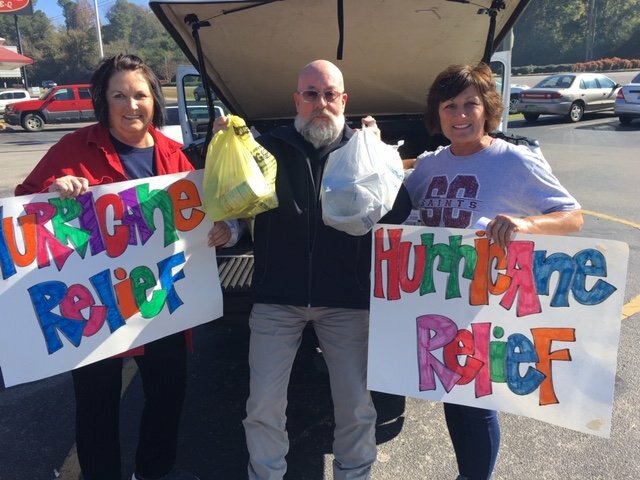 Mrs. Glaze and her sister, Mrs. Farmer, met with Mr. Don Lupo, office of the mayor of Birmingham, to get the donations sent to Florida! We continue to think of those in Florida and Thank You to all that provided for those in need, so close to home!! !